This summer is filled with sandboxes, wading pools and playing with dump trucks with our first grandchild! Needless to say pottery has taken a back seat. Oh I’m still throwing! My production is just not as quick this summer as in past summers. Sales on Etsy are going strong. 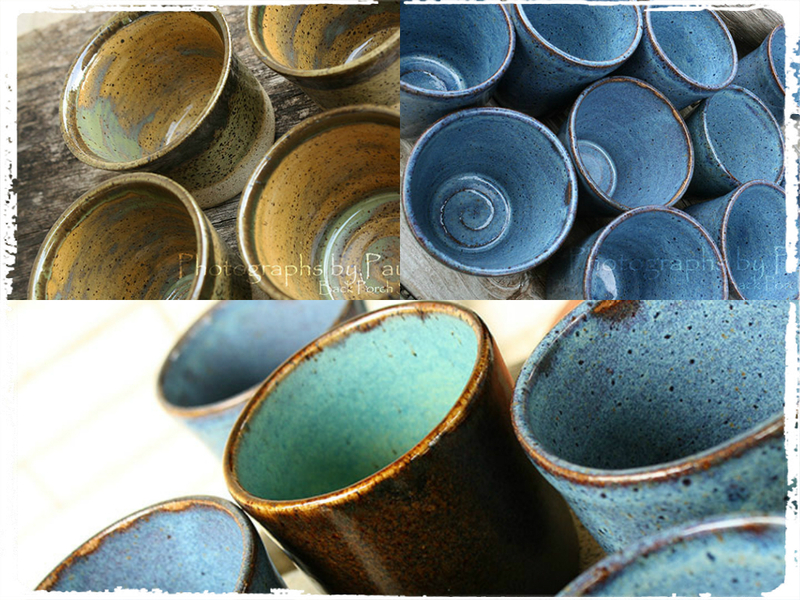 In fact, I just finished an order of pet dishes and tumblers: here, here and here! In the mean time, I will enjoy the little things . 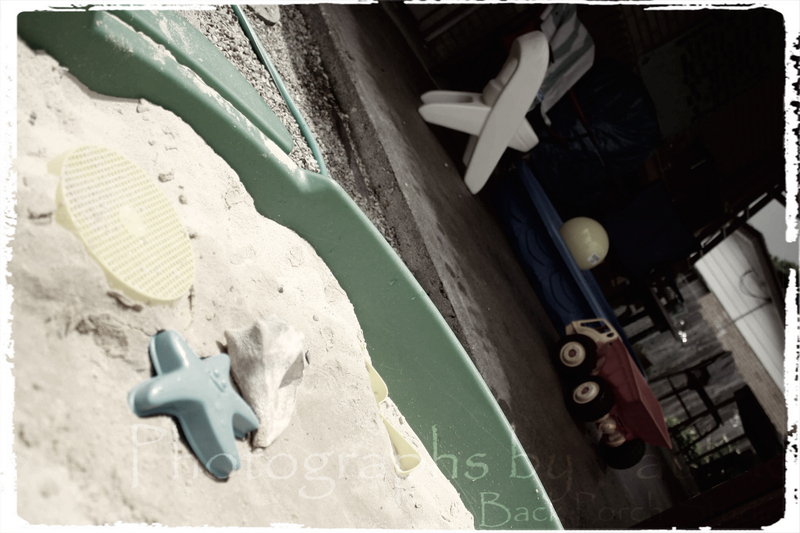 . . sandboxes, wading pools, dump trucks and our wonderfully curious grandchild! 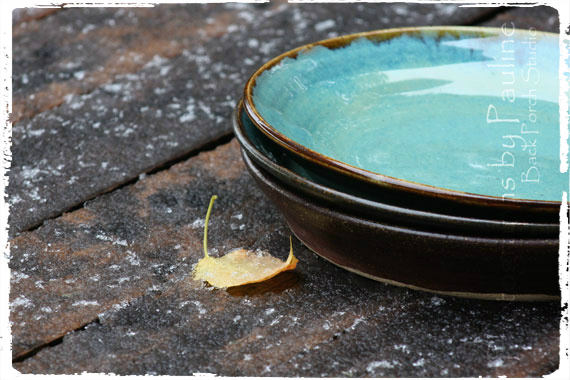 You have some beautiful pottery! Lovely! Beautiful. Wish I had more room (and a less clumsy hubby). 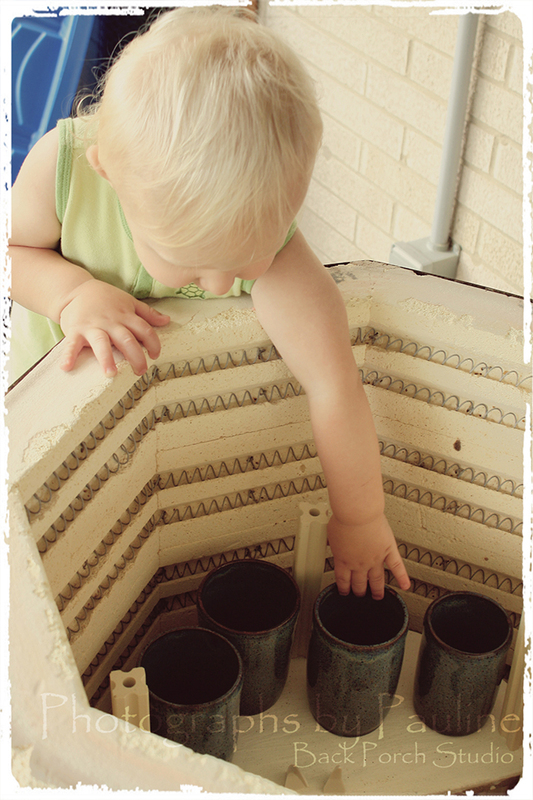 Photo of your grandchild at kiln is wonderful.